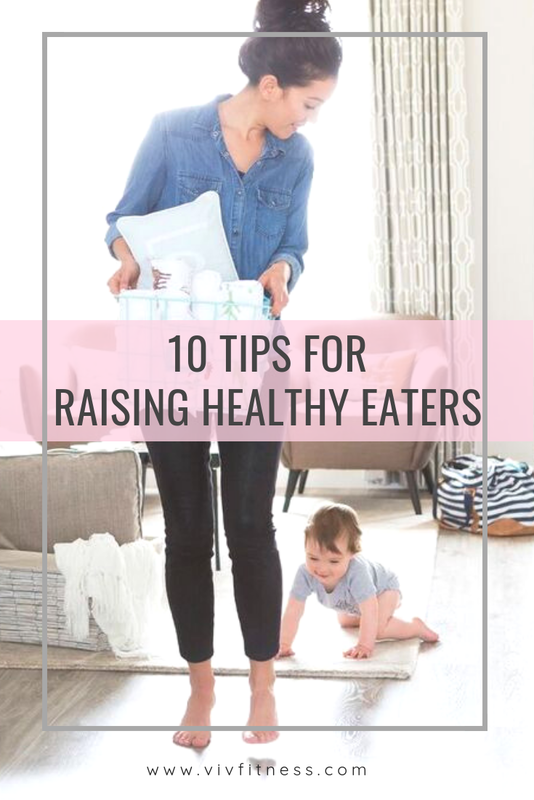 10 tips for raising healthy eaters (and overcoming picky eating)! If you are a mama, chances are good you’ve spend some time wondering if your child is eating enough, eating the RIGHT foods, and maybe even wondering why the hell they are spitting out a food they loved yesterday. After spending the last year coaching in a pediatric clinic and working with the author of a best selling picky eating book, I’ve picked up a few tips. If you want the full guide, click below to download! I want the free tip sheet! Sign up with your email below to get your FREE tip sheet! Thank you! Click here to download your free guide or check your email! It’s January which means lots of us have health and fitness on the brain. We are told that we can easily “transform”. We are told that we should be losing weight. We are told we should be cutting food groups out of our diets. We are told we should be doing intense workout routines. Some of it might sound good. Some sounds appealing. Some sounds horrible (vegan diets and crossfit, I’m looking at you). But I want to ask you… what do YOU want? What do you want for yourself? What do you expect from yourself? What does healthy look like to you?? What kind of healthy example do you want to be for your kids? Do you even NEED to lose weight (and who is to say if you do)?? Do you WANT to exercise? Should you change your diet?? My goal this year is to help more women do what they want. I know for a fact everyone CAN improve their health in some way… but it’s up to YOU to decide what needs to be done. You are the expert on your own life. I also know that when you are in survival mode, you shouldn’t be worrying about big health changes. You should be focusing on keeping your family life running and making sure you are eating and sleeping enough. Sometimes you need to work on your mental health before you can focus on your physical health. Depression and anxiety can be debilitating. Don’t feel an ounce of guilt for putting your relationships, sleep, and mental health FIRST. But sometimes you KNOW what you need to do (eat more veggies, drink more water, move your body) you just can’t figure out HOW to fit it into your life. That’s where I come in. My goal as a coach is to help you fit healthier habits into your life without doing any major overhauls or transformations. Because I want you to be able to continue with your changes 3 months from now and 3 years from now. I want the changes to be so long lasting your kids grow up with a healthy mama who has a healthy relationship with food and shows them how to love her body.... so that THEY can grow up loving their bodies. To me, THAT is long lasting change. Want to apply to work with me this year? Click here. With less than a month of 2017 left, I wanted to start thinking about a simple way to help busy mamas change their health habits. I was doing some research and found that even the tiniest action (i’m talking like a 5 minute walk, or flossing 2 teeth, or drinking 1 freaking glass of water) can really make an impact. The first is there is very little pressure. One glass of water seems WAY more doable than drinking 64 oz tomorrow right? And you could probably fit in a 5 minute walk, but if you have to go home after that… who cares… you did your 5 minutes! And five minutes is WAY easier than telling yourself you will go to the gym everyday this week. The second reason is because after you begin making tiny changes, you realize that you could probably handle a little more. And it’s the beginning of a major snowball effect (with little to no stress or pressure). So how does this all go down?? Step 1: Pick something YOU have been wanting to improve. Don’t care about flossing?? Pick something else! This is for Y O U. Step 2: Tie your action to something you already do. Example: if you make coffee each morning, drink your water right after you turn on the coffee machine. You could also fill your bottle while the coffee is brewing. If your goal is to walk 5 minutes, you could go for your mini walk right after you take your kids to school, or right when your husband gets home from work. Easy peasy. Now you are on your way to improving your health one mini habit at a time! 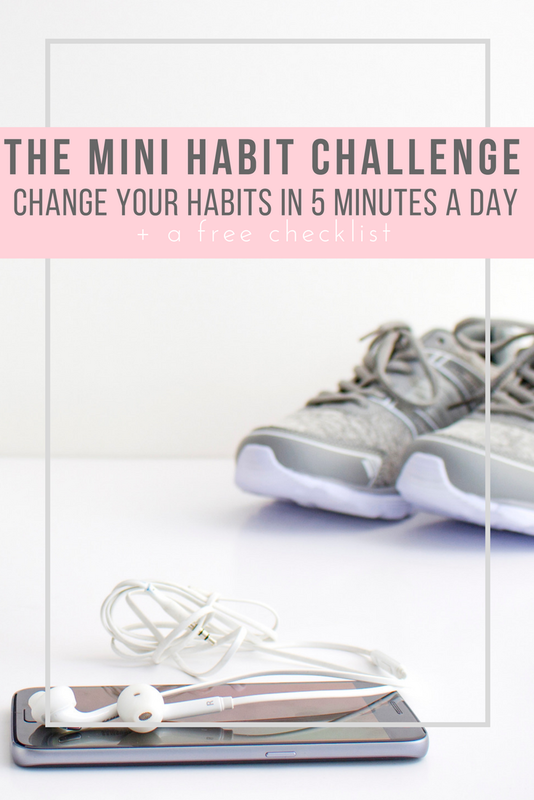 Sign up here for the free 5-day-5-minute mini habit challenge! You get a cute printable AND a daily reminder to do your mini goal. ready to change your habits in 5 minutes a day?? Sign up with your email address to receive your free printable checklist + some motivational emails to keep you going this week! Thank you! Check your email for your cute printable check list!